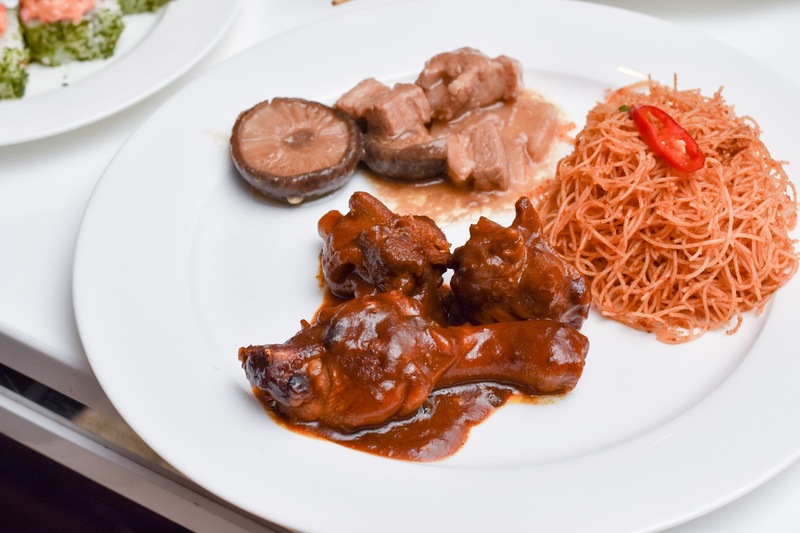 Royale Restaurant Peranakan Dinner Buffet at Mercure Singapore Bugis - Available on Friday, Saturday, Sundays & PH! Granted, many restaurants in Singapore serves up hearty Peranakan food, but rarely do you have Peranakan buffets that make the mark. Therefore, I was extremely stoked to try out the Peranakan Buffet at Royale Restaurant at Mercure Singapore Bugis. 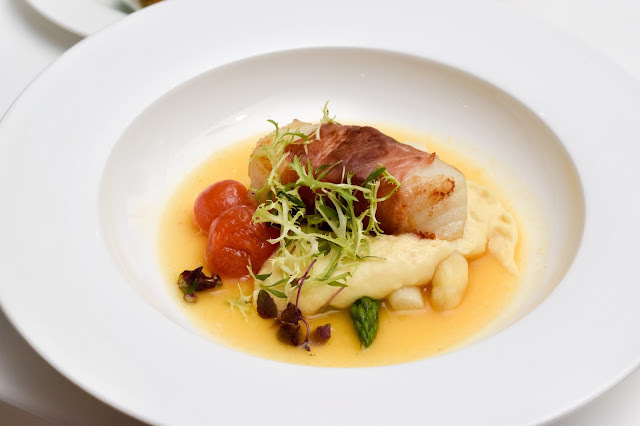 I've previously tried the other restaurant establishments at the hotel and were extremely impressed with the dishes I tried! 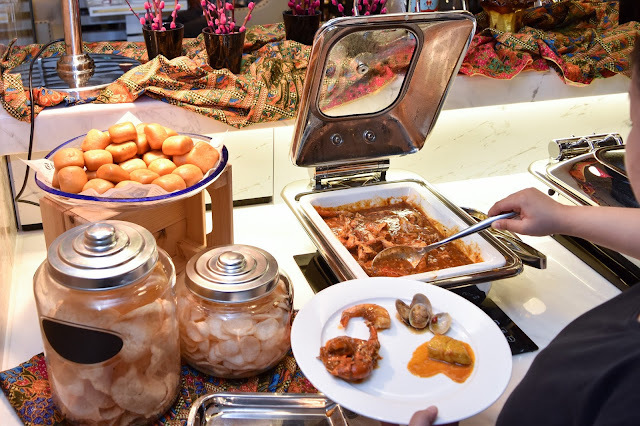 From now till 26th August 2016, Royale Restaurant at Mercure Singapore Bugis presents a Peranakan Buffet available on Fridays, Saturdays, Sundays and PH. 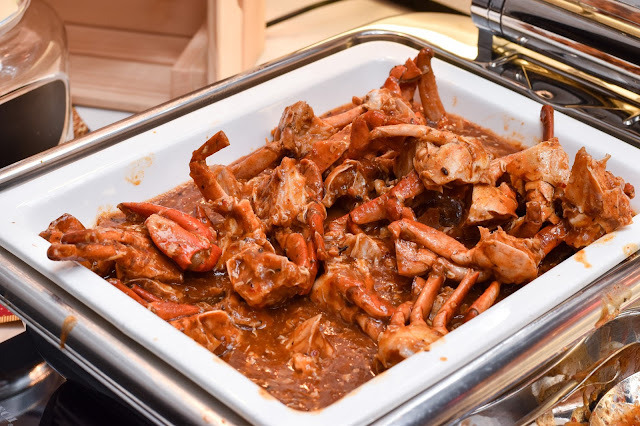 The buffet spread will include over twenty Straits Chinese favourites such as Laksa, Mee Rebus, Satay, Pandan Chicken, Curry Fish, Chilli Crab, Fresh Oysters, Prawns and more! 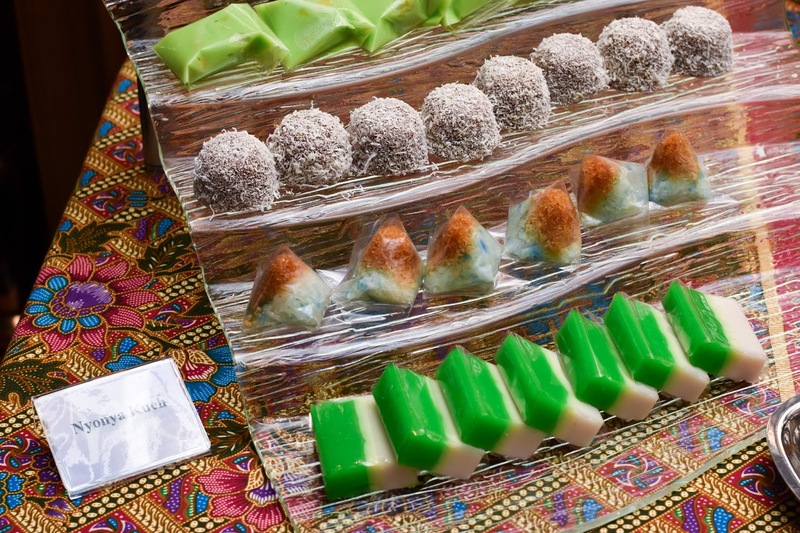 And also not forgetting a hearty selection of Nyonya Kueh and desserts to spoil your taste buds silly! 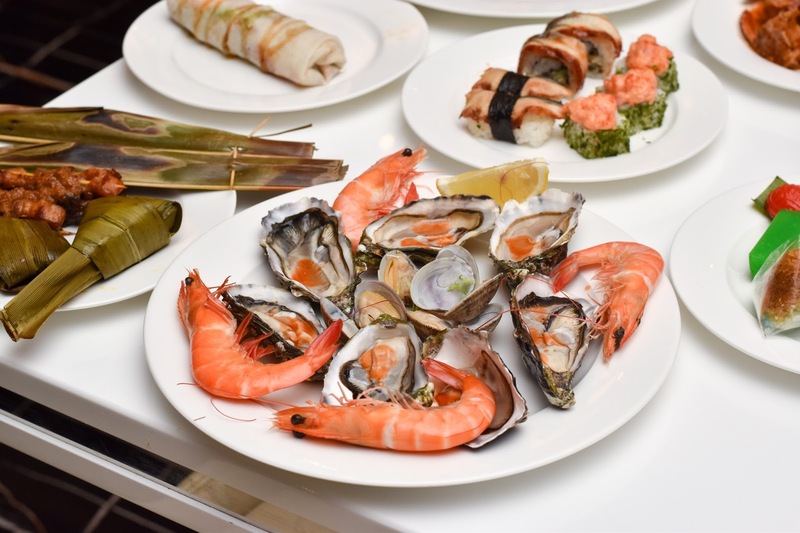 Other than your favourite Peranakan cuisines, you can also find a wholesome spread of seafood such as prawns, oysters and chilli crab! 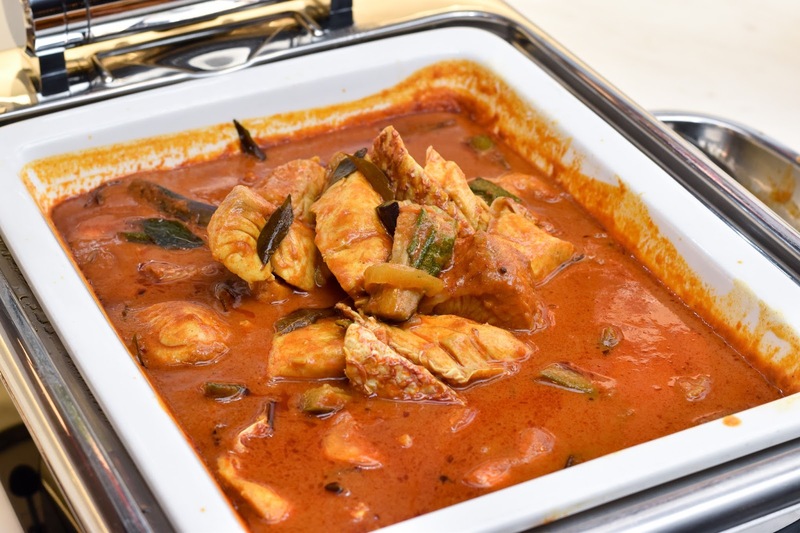 The buffet spread also include your quintessential Babi Pongteh, with melt-in-your-mouth pieces of pok belly, mushrooms and bamboo shoots braised in dark soya sauce and fermented soya beans. Other items in the buffet line also includes Nyonya chap Chye, Beef Rendang, Chicken Curry with Potatoes and Mee Siam. 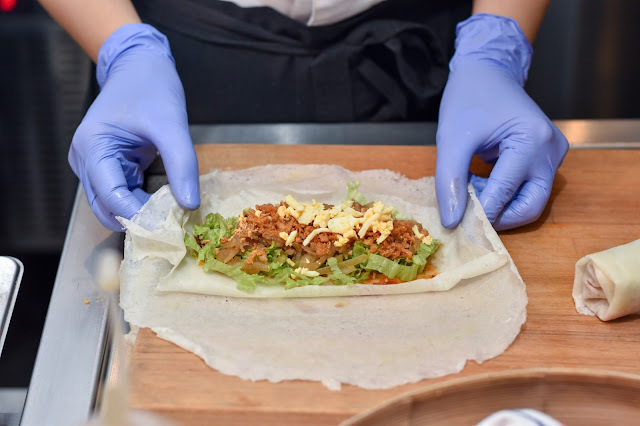 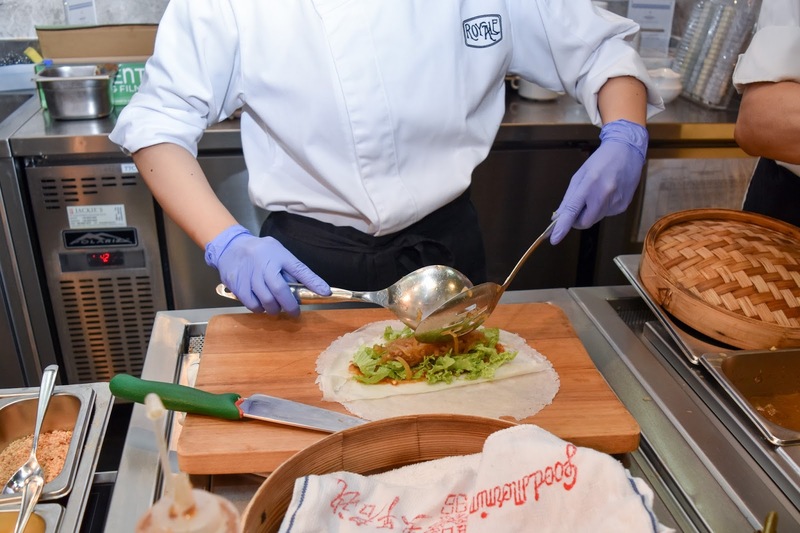 Don't forget to make a bee-line for the live station at the Peranakan Buffet where you can see chefs serving up popiah, Nyonya Laksa, Satays, Pandan Chicken and Mee Rubus a la minute. 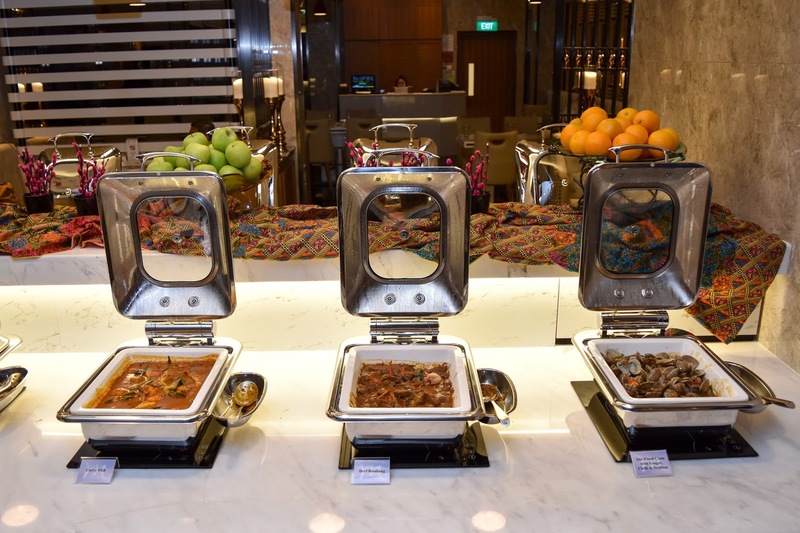 The spread and portions of food available in the buffet line certainly justifies the amount paid! 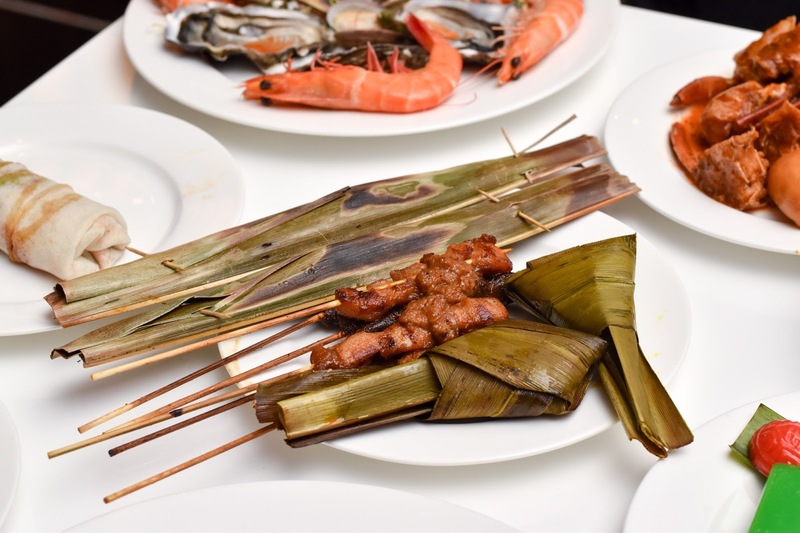 Our favourites from the buffet line includes the Pandan chicken, Satay, Popiah as well as several durian kueh for lovers of the King of the Fruit! 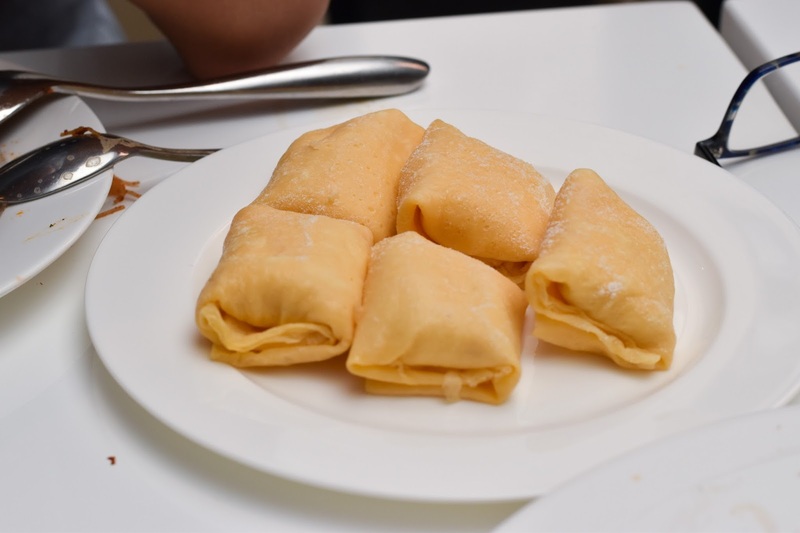 Other than Durian Swiss Rolls, Durian Mousse Cake and Durian Puffs, another must-try item is certainly the Durian Pillows - a light, fresh egg crepe pillow filled with a generous stuffing of Durian pulp! 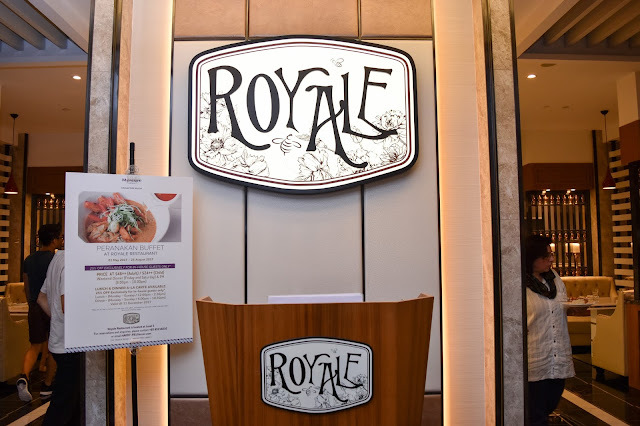 Other than the Peranakan buffet, diners can also choose from an extensive all-day dining menu at Royale Restaurant, where diners can choose from a plethora of Western and local favourites. Some of these dishes include signature creations by Executive Chef Nicholas Sia such as the Oven-baked Alaska Cod Fillet (S$29.90++). The dish features a 120g fillet of cod steeped in citrusy marinate and baked in the oven till tender. 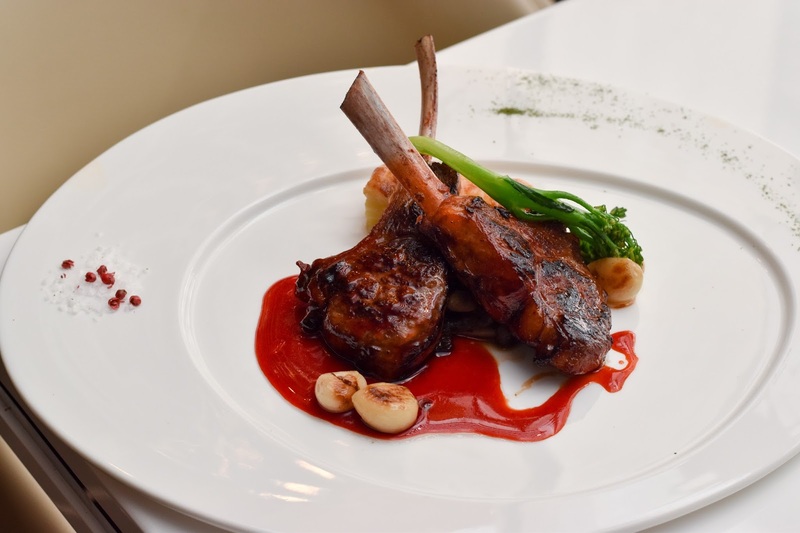 For those of you who love a good rack of lamb, you can also opt for the Pan-seared char siew Rack of Lamb (S$29.90++) which features premium New Zealand lamb that has been marinated overnight with a sweet char siew sauce. This was an invited media tasting with Royale Restaurant. 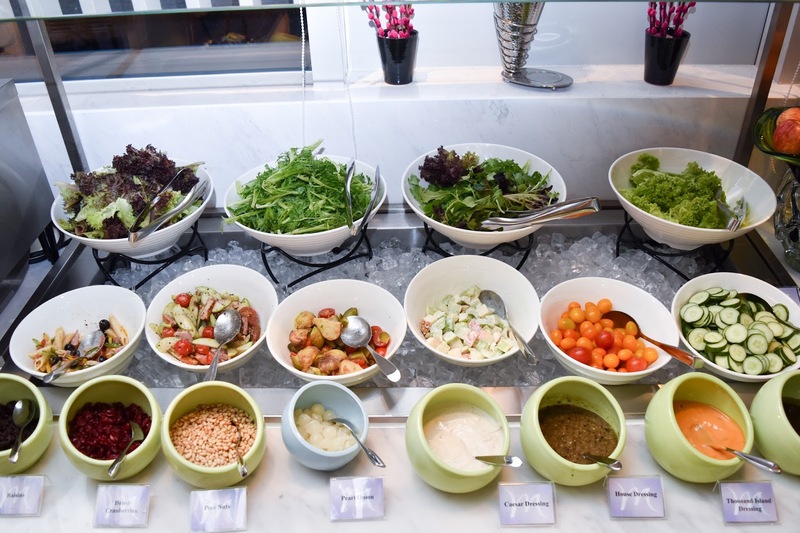 Hi Cassan! 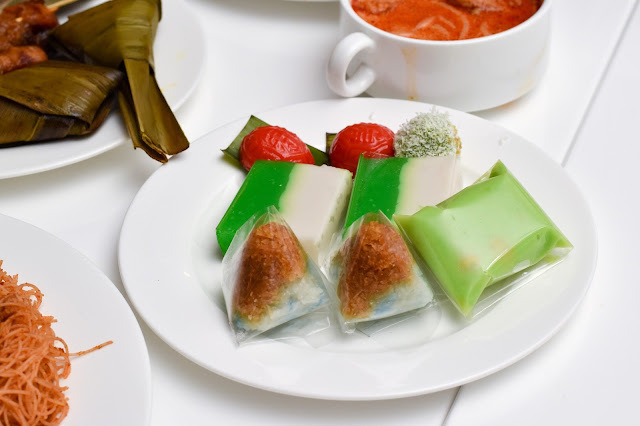 I recently found your blog and I'm so excited you're from Singapore. 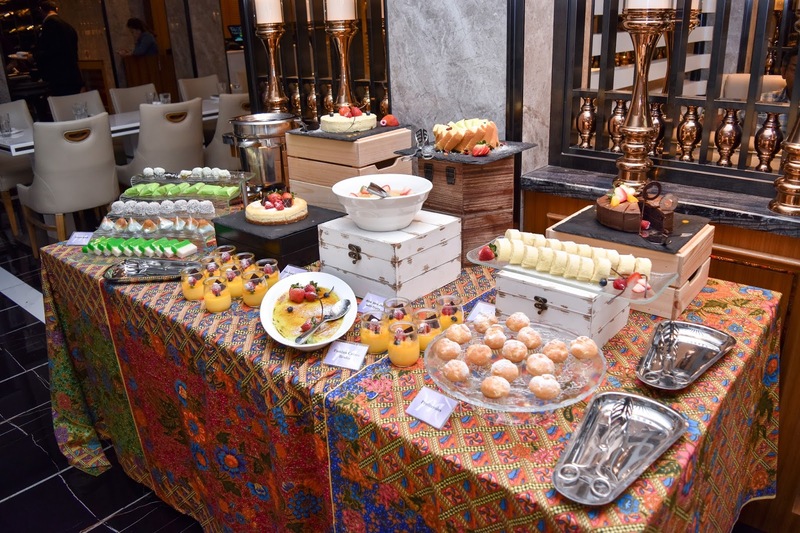 Man, that is a lavish spread. Given a chance, I would gladly chomp on all the goodies. 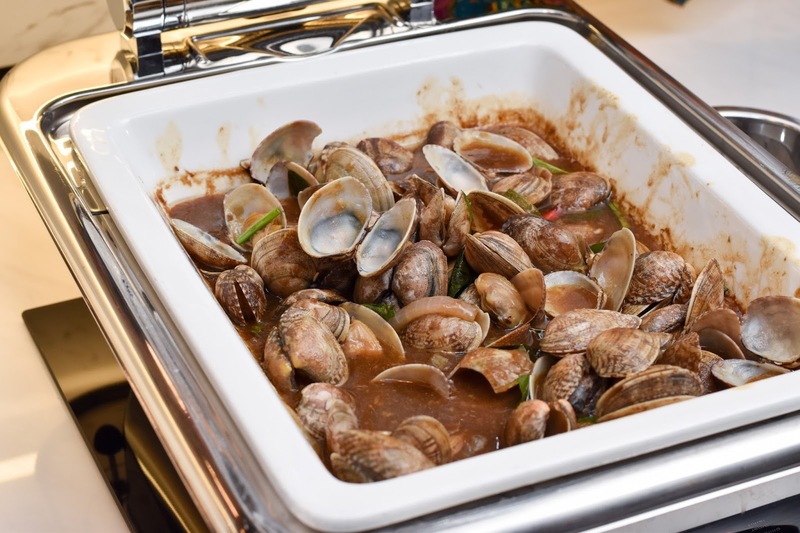 Apart from the food, I feel the venue is also important. 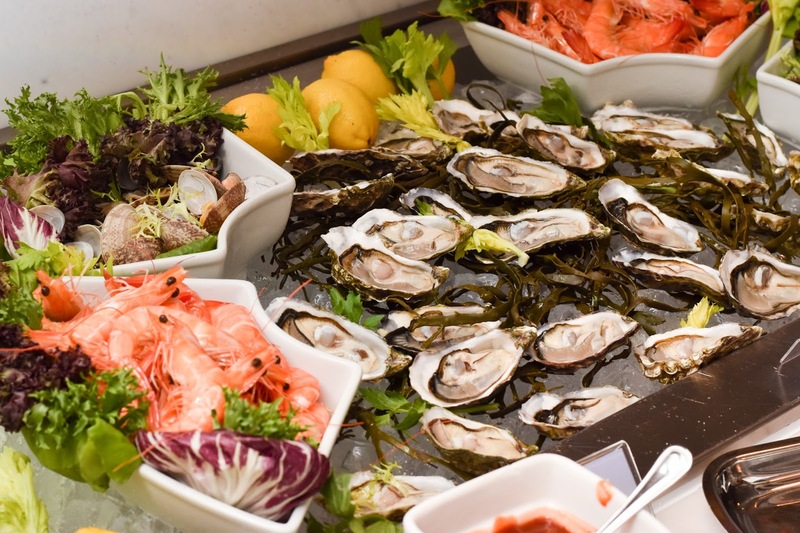 I have always rented or purchased the best meeting space San Francisco offers, for all types of formal events, I recommend the same to you as well.